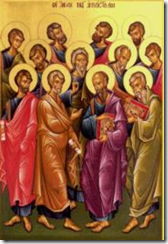 Here’s a link that I found on Adrian’s blog to an article by Ed Stetzer on apostles today. He has a number of links which show that churches even outside of Charismatic and Pentecostal circles are looking at the question of apostolic ministry for today and the continuing need for that type of ministry. Response: Pastors, teachers, and evangelists are accepted ministry types in every church. No one denies that we need them today—that these types of ministries have ever ceased in the church. However, this is not the case when it come to apostles and prophets. I have read so many different commentaries over the years which flatly state that the ministry of apostles and prophets ceased in the apostolic age with not so much as one good Biblical reference to back up the charge (Please don’t give me I Cor. 13–the use of it here violates several recognized hermeneutic rules). I believe that ‘apostolic ministry’ is not only for today, but never really ceased in the church. Some of the major ‘missionary’ leaders of the past, which have planted churches in far away lands and supervised them down through the entire history of the church, were involved in ‘apostolic ministry’ whether the church recognized it or not. 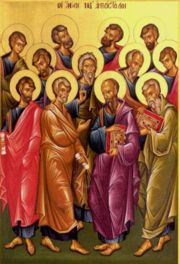 We should be able to concede that the original apostles, who walked with Jesus along with others from the first century like Paul, may have had a unique position in the founding of the church and writing scripture, without concluding that the need for that type of ministry ended when they all passed away. After all, has the church really reached " …to the measure of the stature of the fullness of Christ"—or are some of us still children—or are some of us still being ‘tossed to and fro’ like the scripture says? I believe that the answers is yes! Therefore we still need all the help we can get in the church today. I will admit this, it does bother me when I see some ministers with title– ‘Apostle’ in front of their name. I always wonder who voted them into that office. However, I am entirely comfortable with people referring to others as having an ‘apostolic ministry’ or even as being called an (lower case) ‘apostle’. Interesting to note, nearly everyone of the folks I know of involved in an effective ‘apostolic’ type of ministry have been commission by Jesus Christ in some direct way—usually through an appearance or a vision of the Lord.